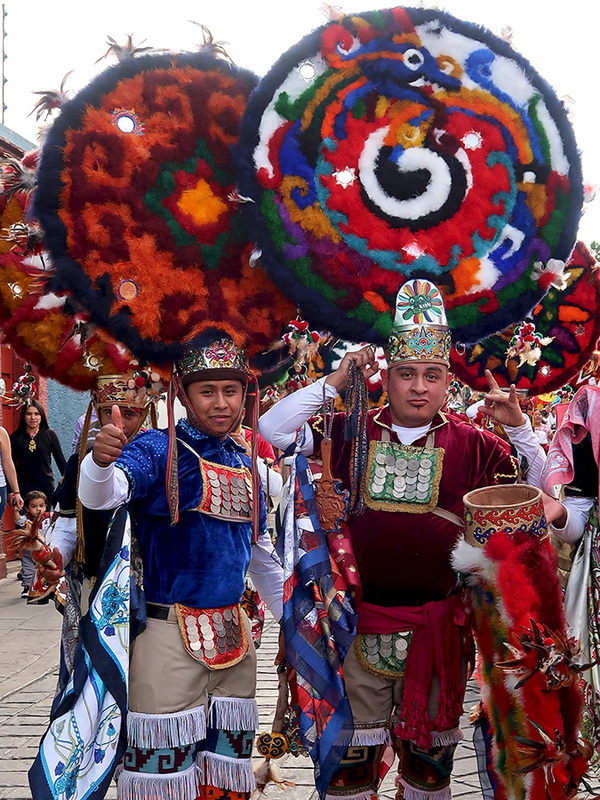 The convite (covered in the Uplifting post) is only one of the traditions of the patronal festival of La Preciosa Sangre de Cristo. 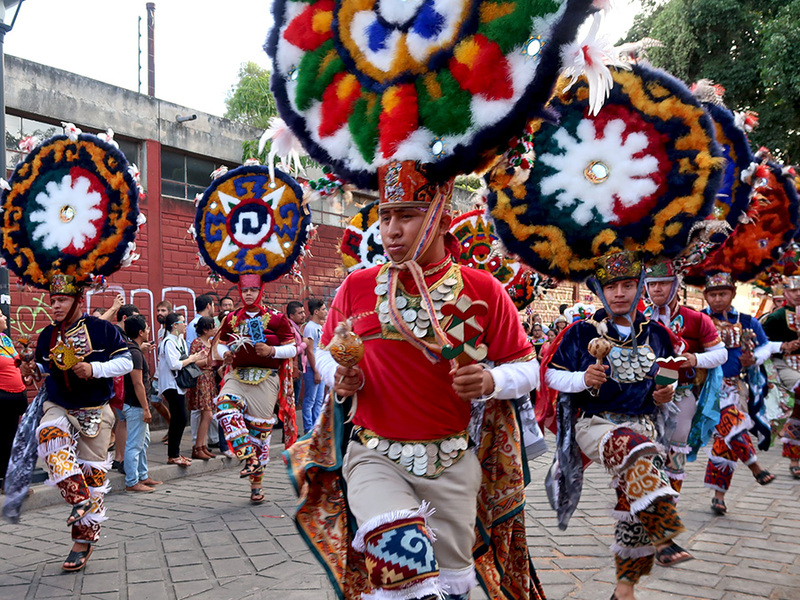 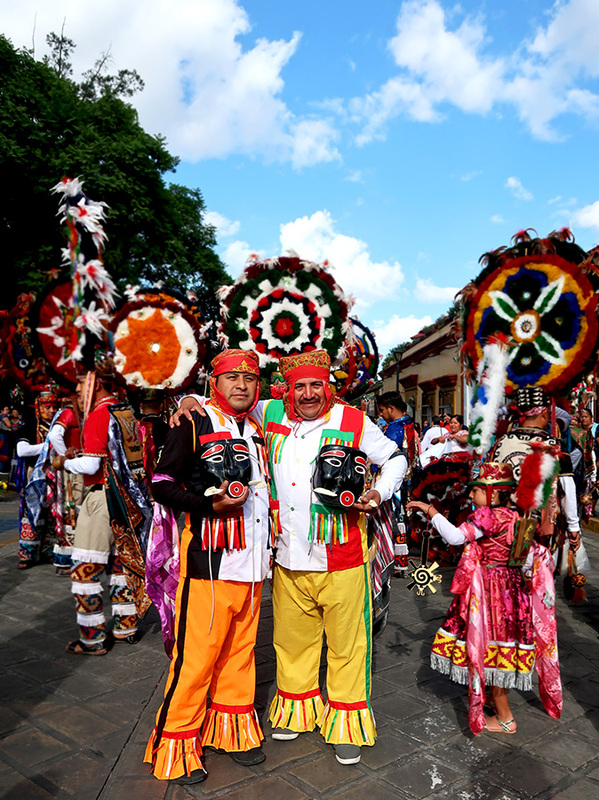 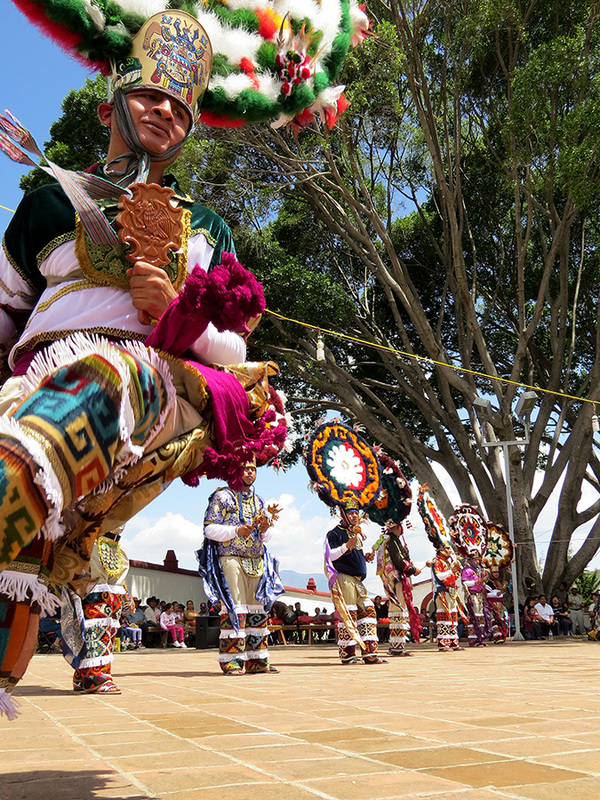 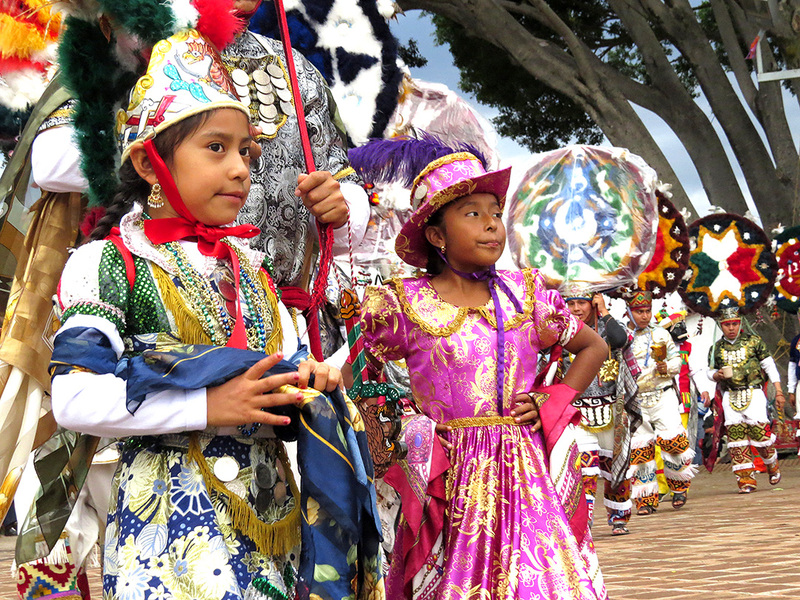 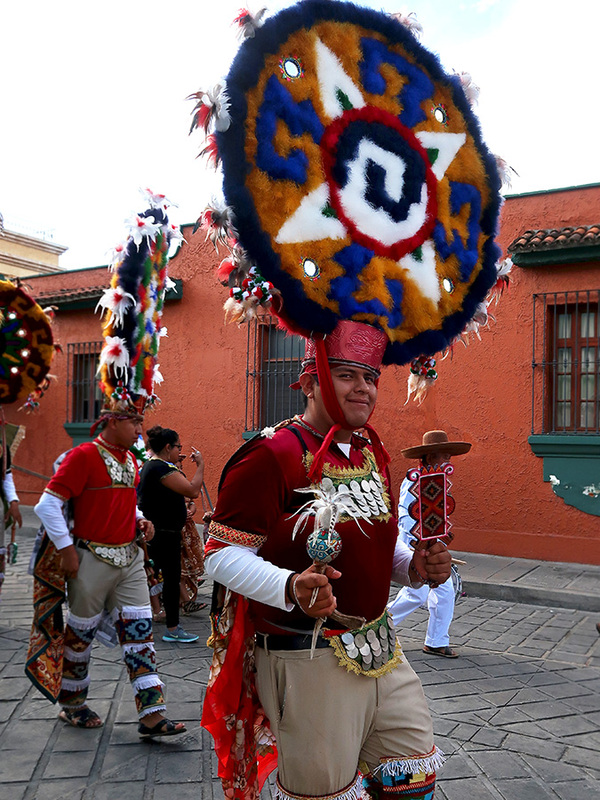 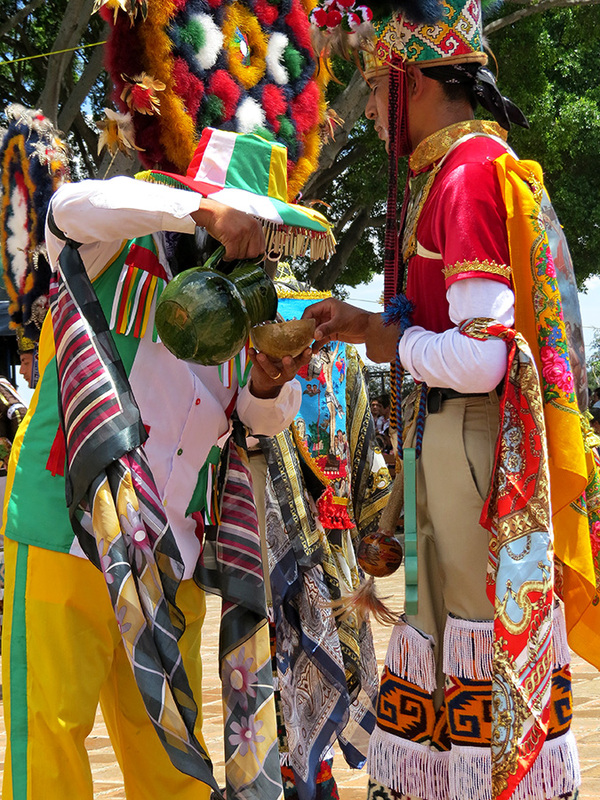 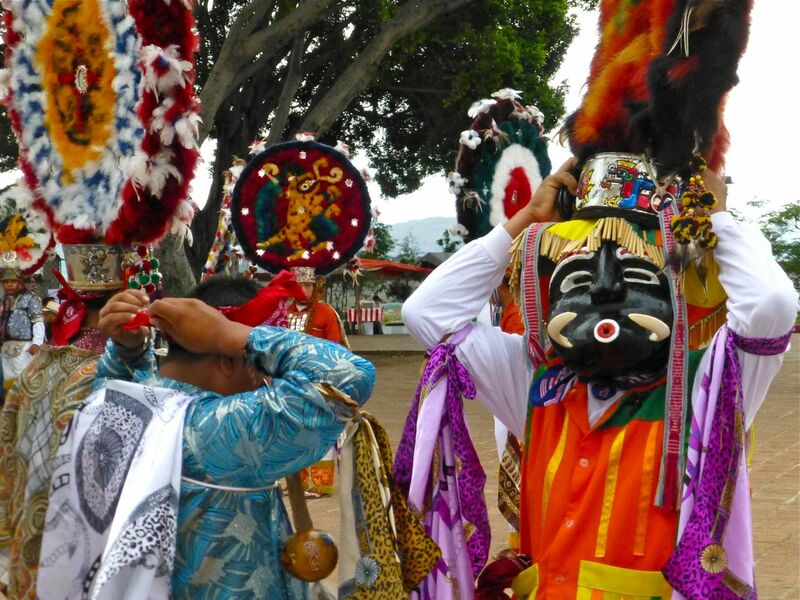 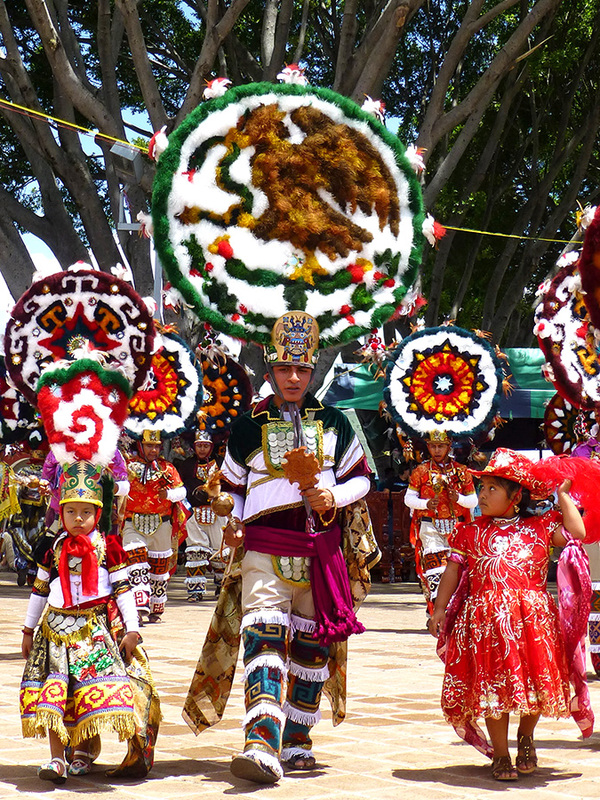 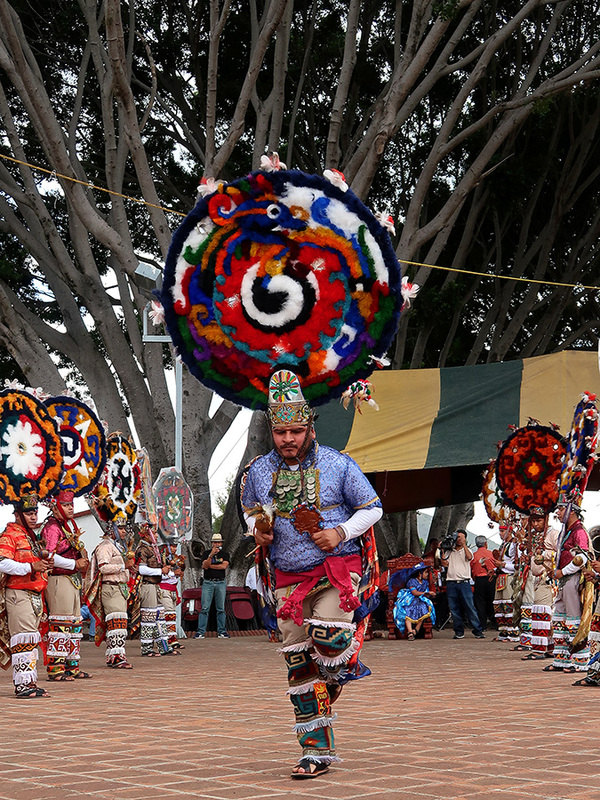 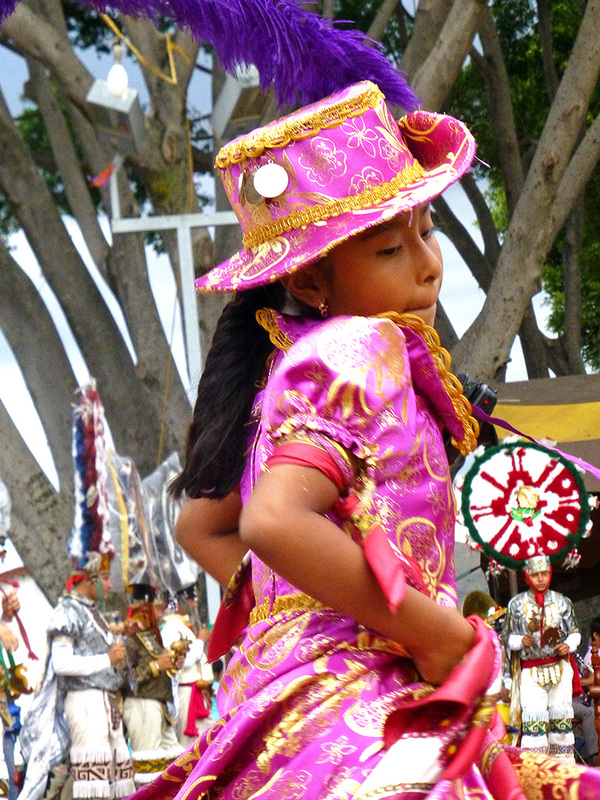 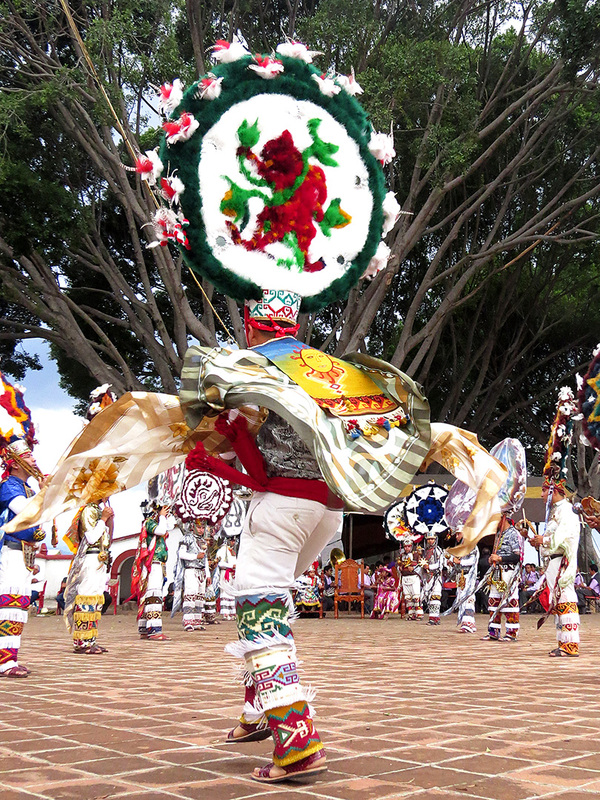 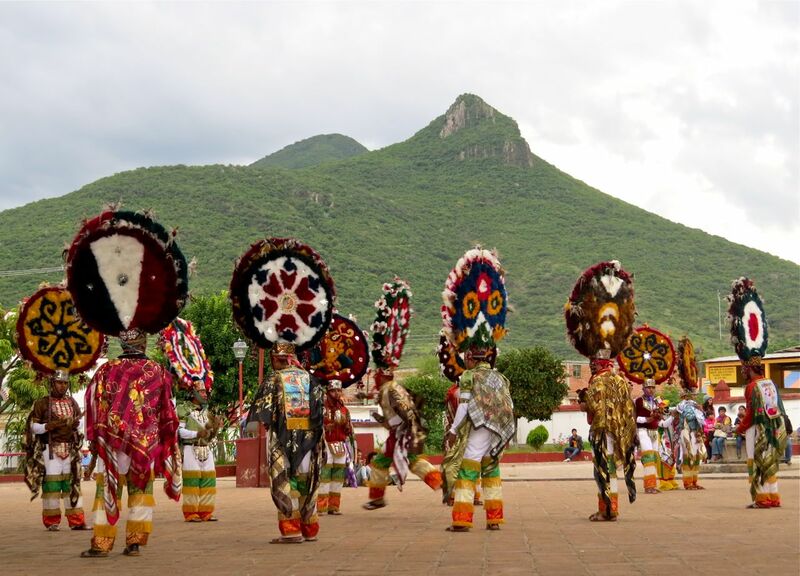 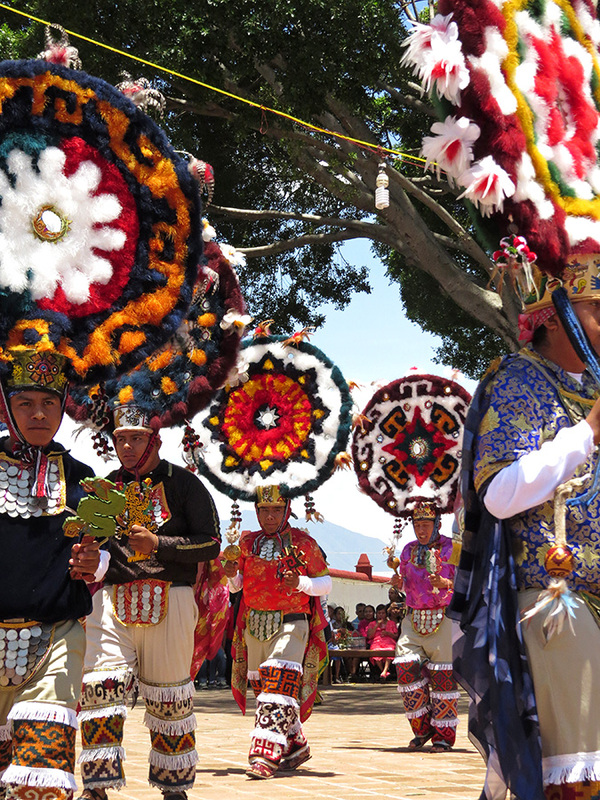 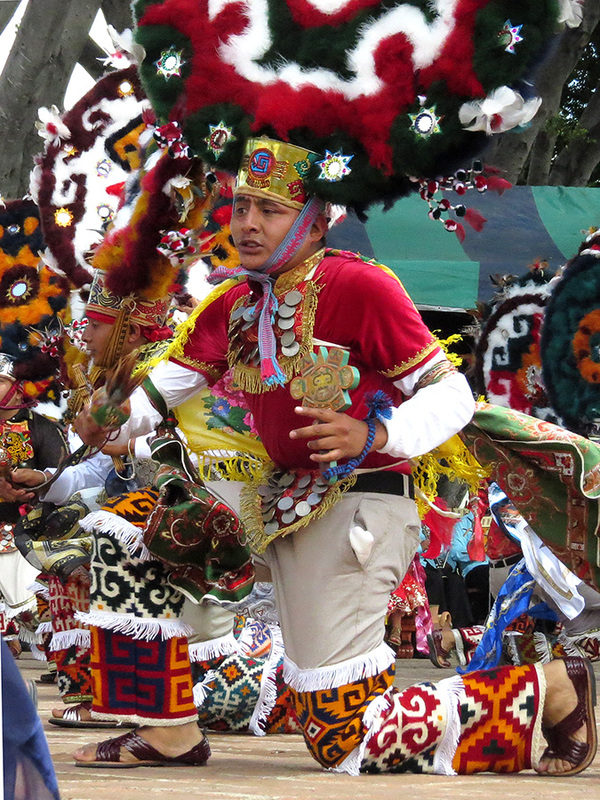 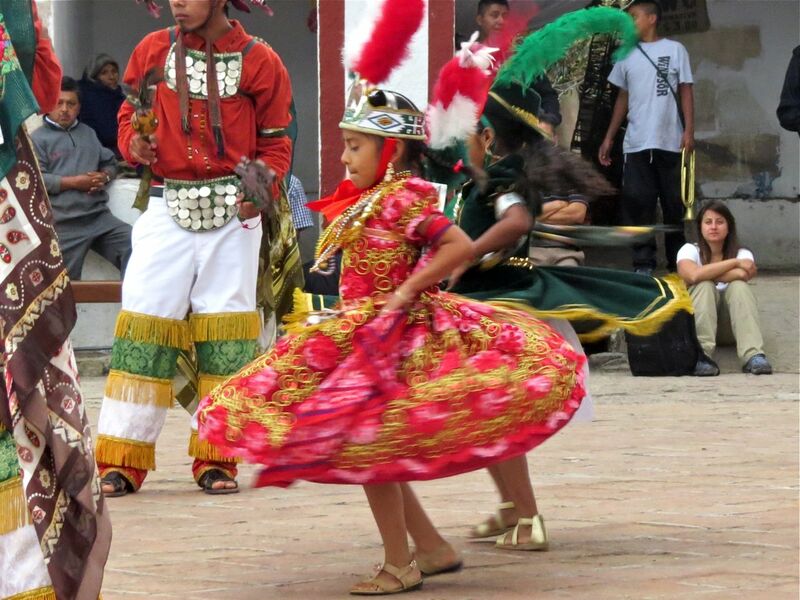 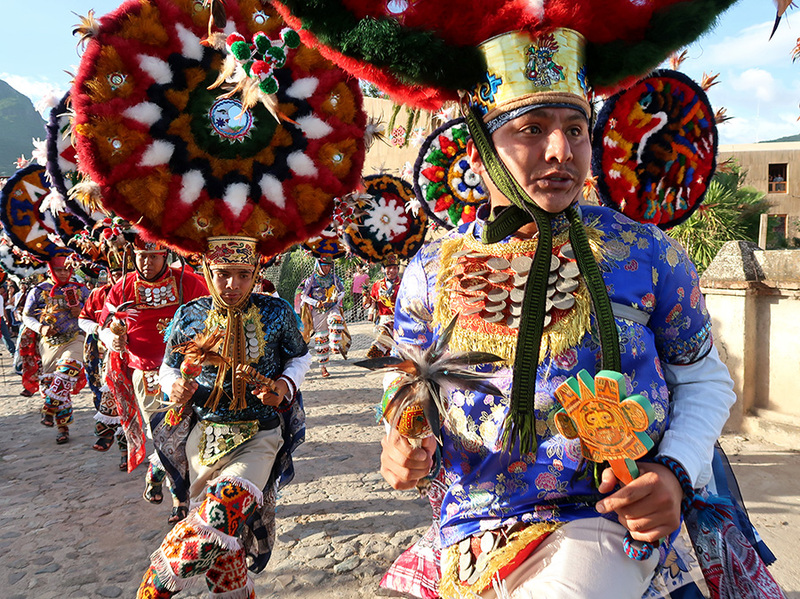 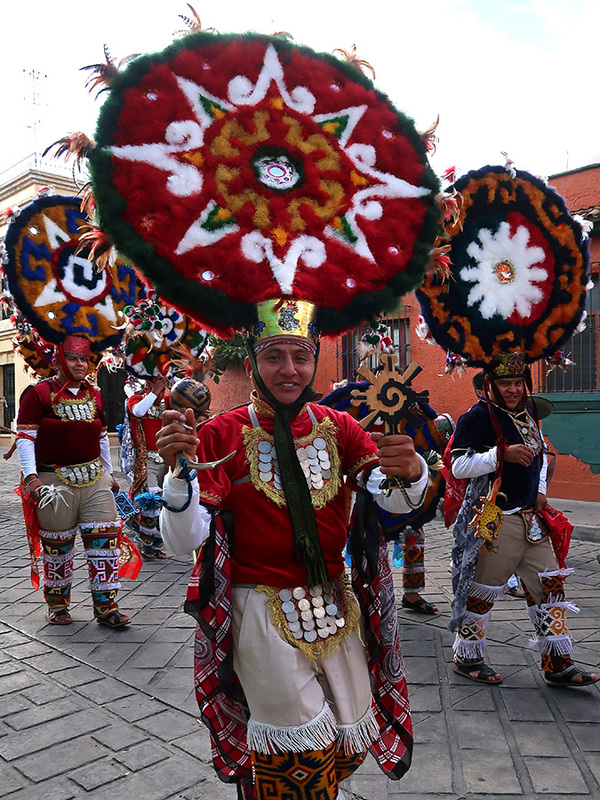 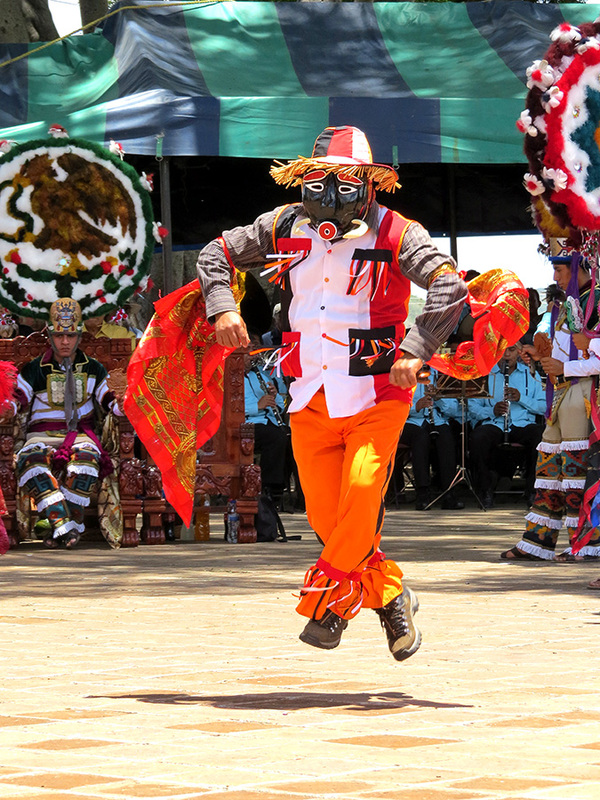 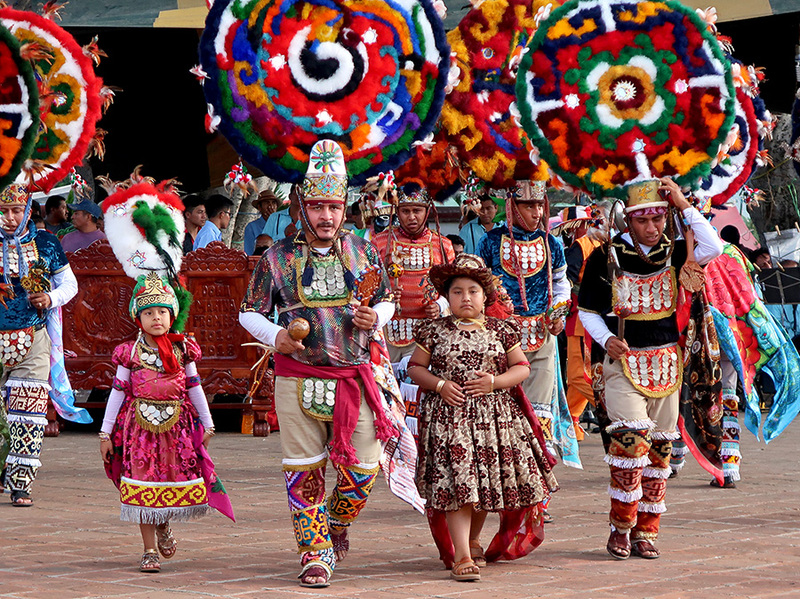 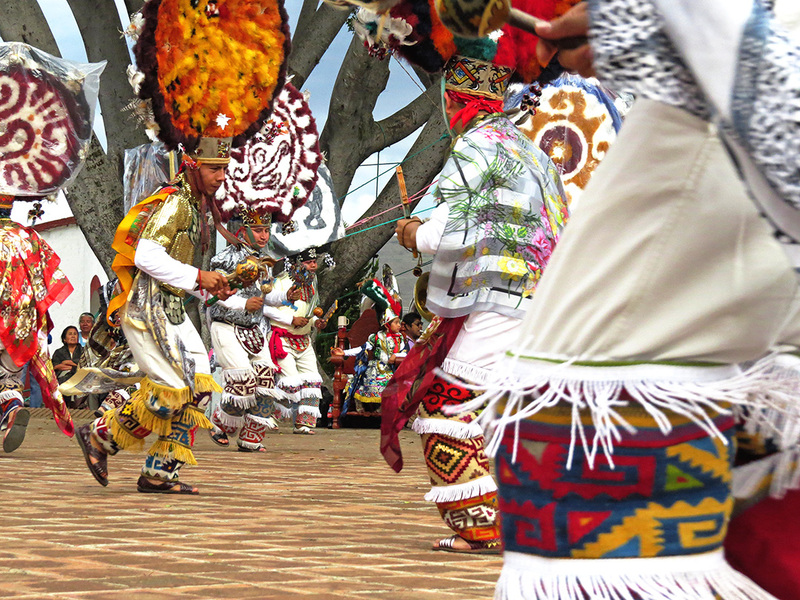 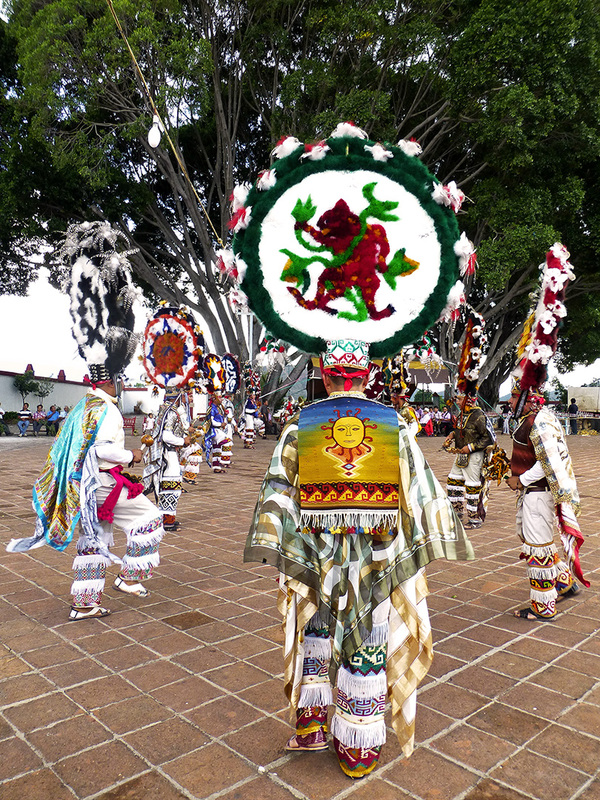 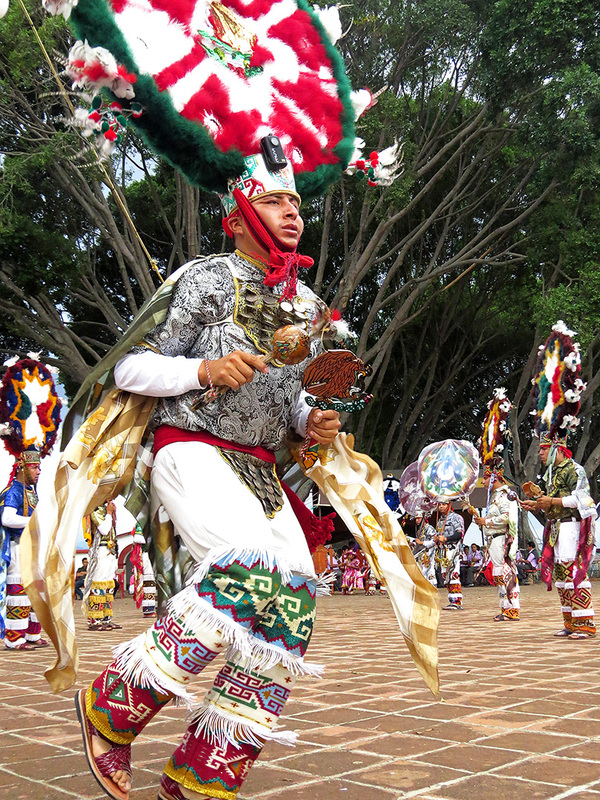 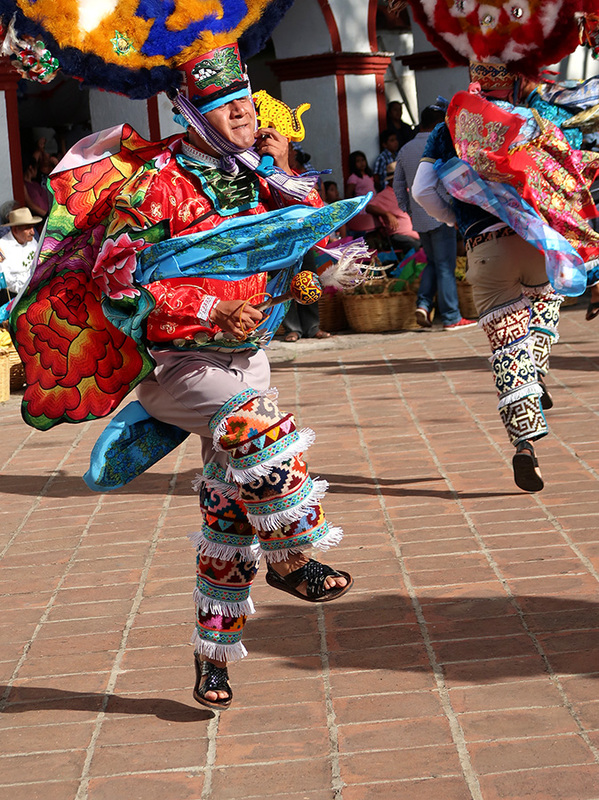 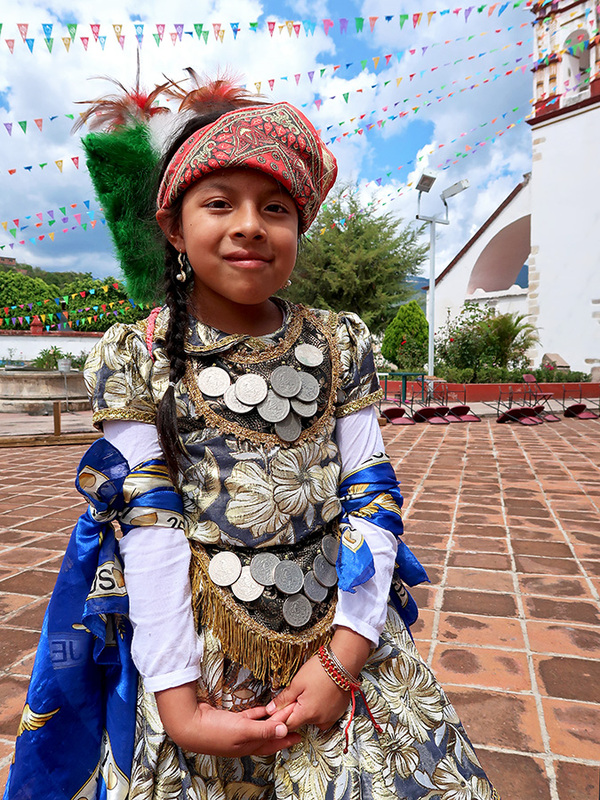 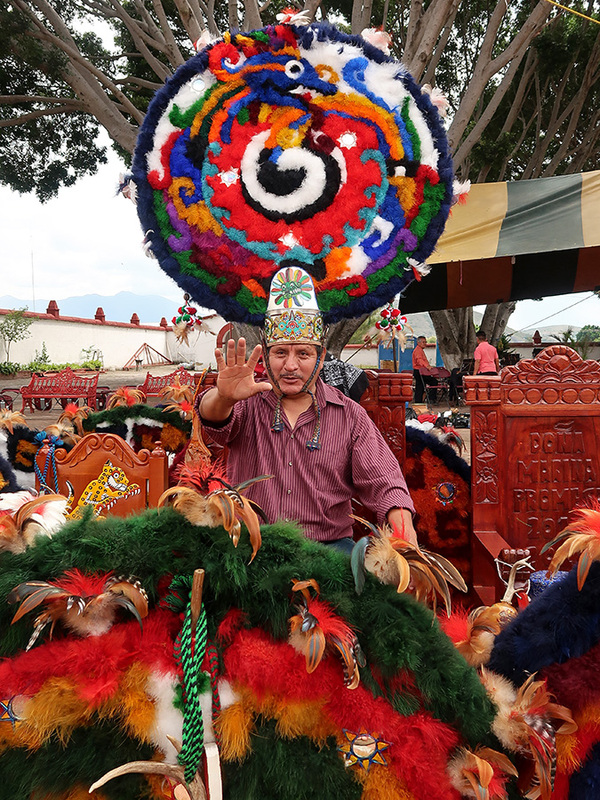 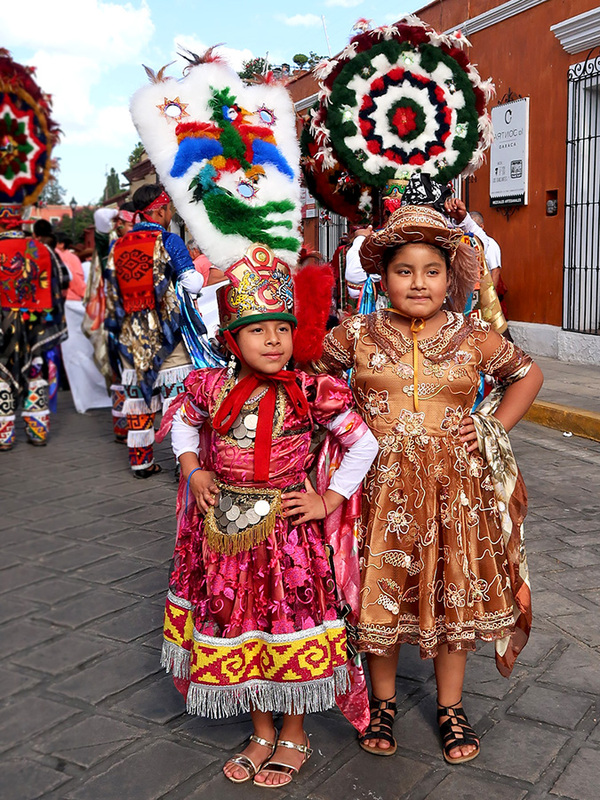 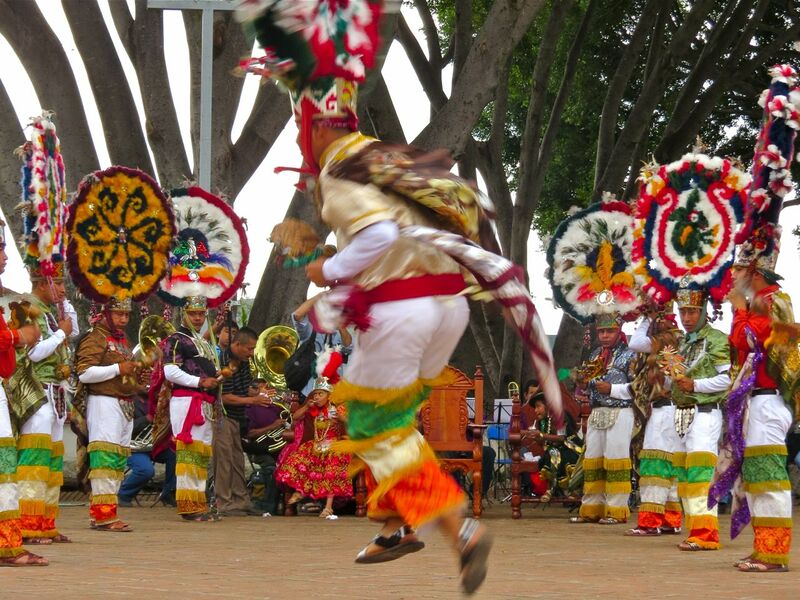 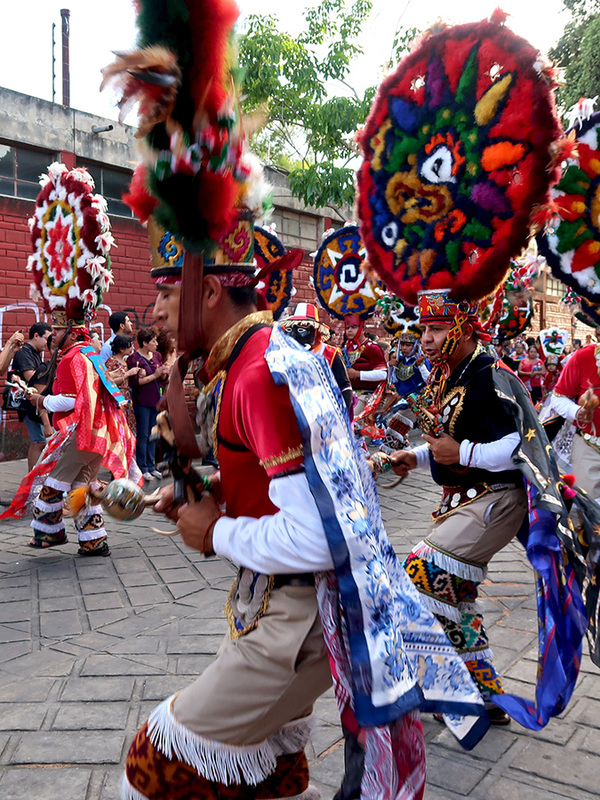 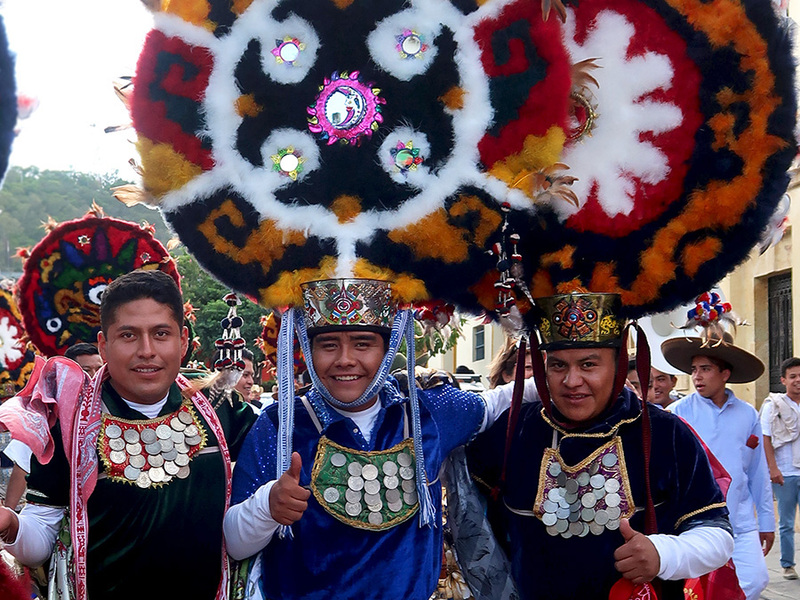 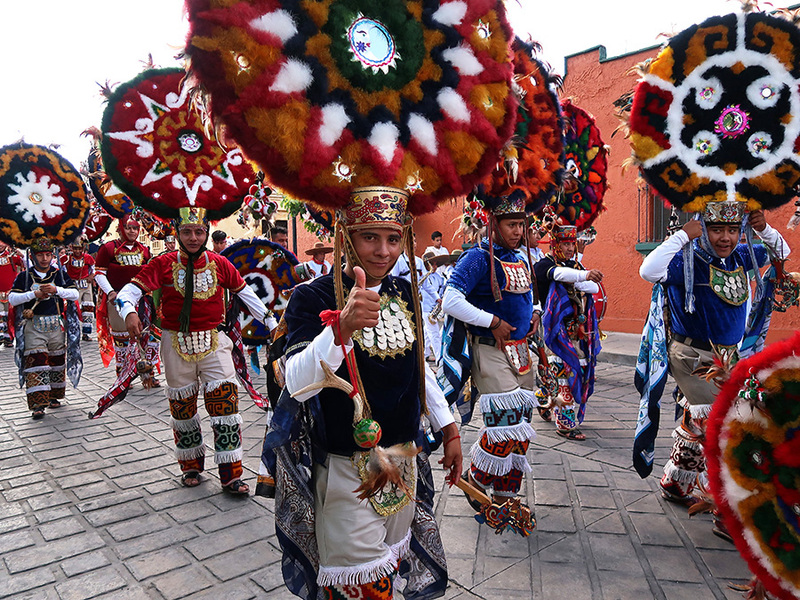 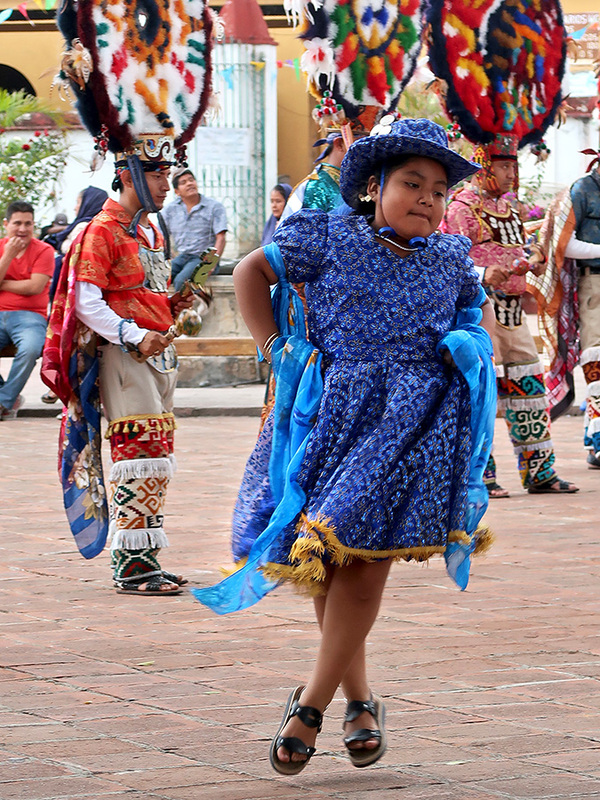 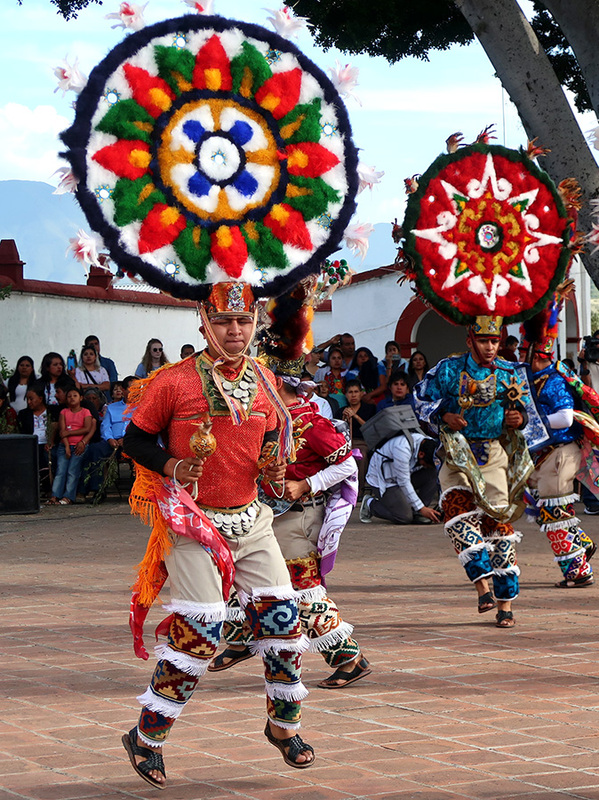 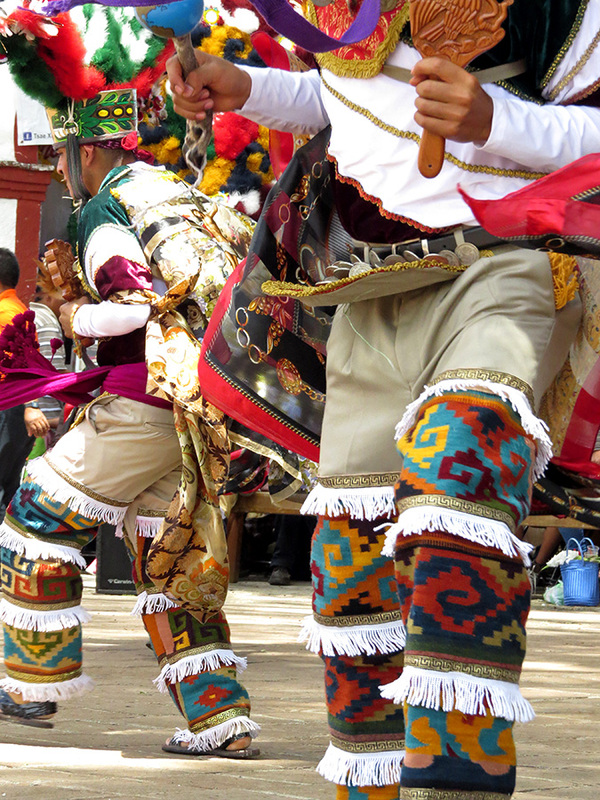 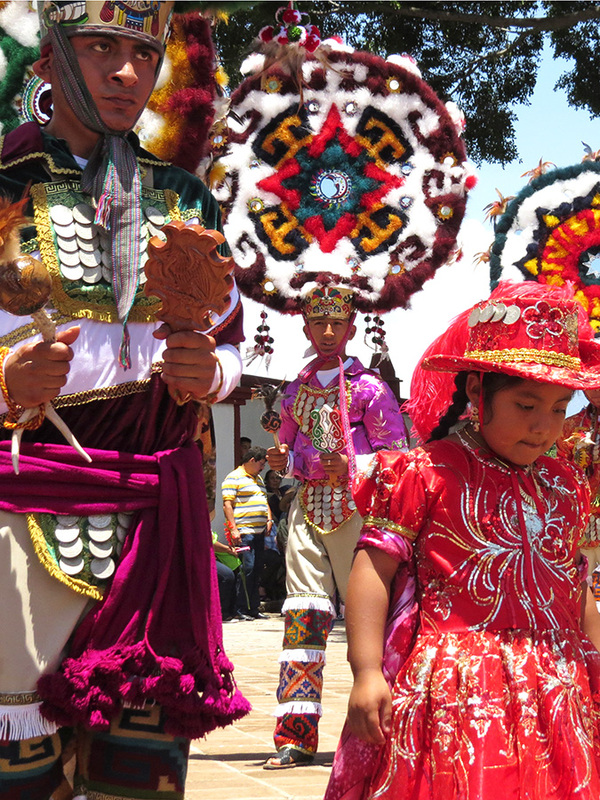 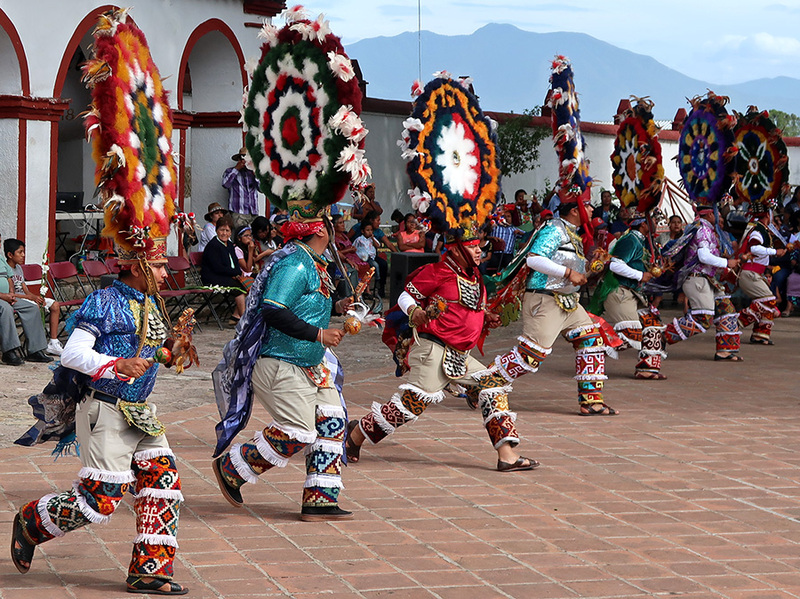 During the five days of the celebration, the church is filled with floral arrangements and believers stream in and out clutching flowers; the Danza de la Pluma (with Moctezuma, Cortez, Malinche, Doña Marina, danzantes, and soldados) is performed several times; and the cargo holders of the community preside, are honored, and presented with fresh fruits, vegetables, sacred herbs, and beverages. 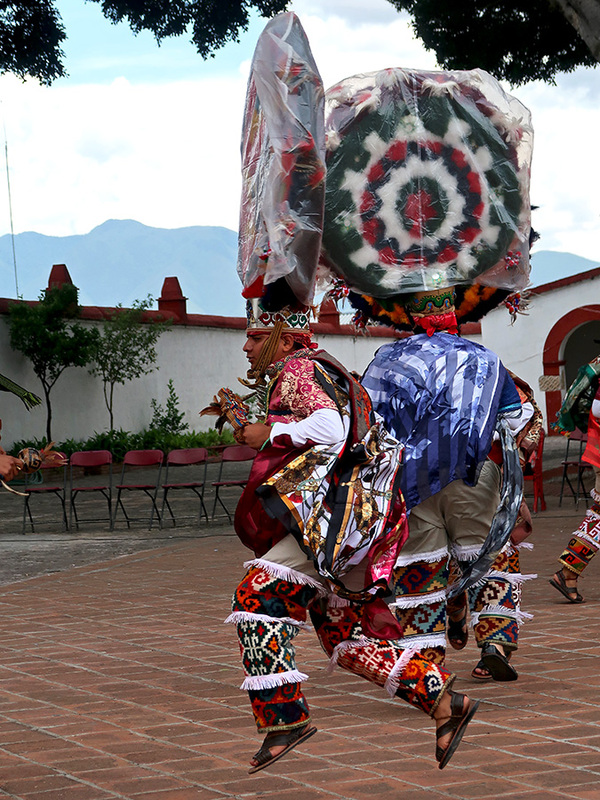 Sunday was another amazing day in Teotitlán del Valle. 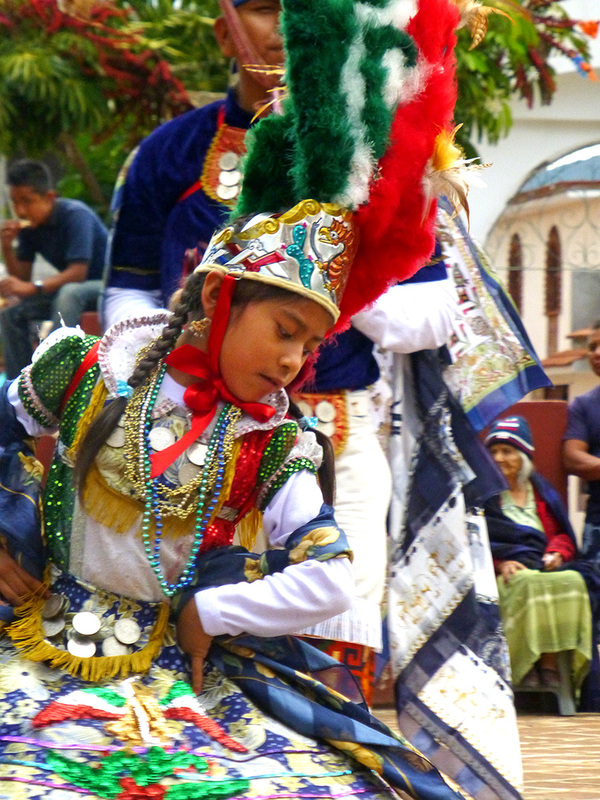 And I haven’t even mentioned the tacos and tamales we devoured during our three visits this past week!